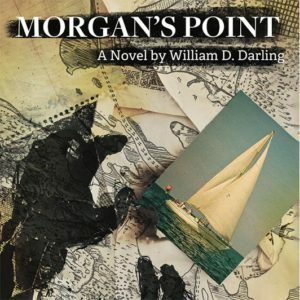 The second book in the Jim Ward series brings readers back to the same territory expertly detailed in Morgan’s Point, fast forwarding to 1972. A spinster living on an isolated ranch is murdered, and when authorities from the nearby town of Anahuac investigate, a literally-blood-drenched preacher turned radio evangelist becomes the main suspect. Ward, on his first day of private practice, takes on the defense of the Rev. Randall Clay, and is swept into a world of greed, religious fervor, mysterious players with perplexing motivations, and with Darling’s prior novel, a changing national culture meeting head on with the literal backwaters and backwoods of Galveston Bay. 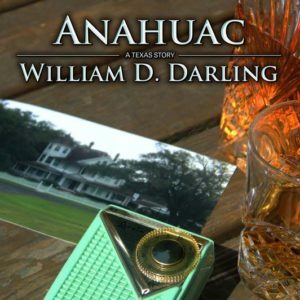 “All of the characters in Anahuac are well-crafted and fascinating including an eccentric and independent ranch woman, an evangelical preacher with a shady business manager, an old man with old money, and a small-town sheriff with a big hold over the town. Despite a large cast, Darling does an outstanding job of defining the players and making each unique and memorable and familiar to readers. Readers get not only a clear visual but a peek at what makes these multi-layered characters tick. This novel introduced the world to Jim Ward, the troubled protagonist of this series that integrates suspense, crime stories, and even romance into the decidedly Texas settings of Houston and Galveston Bay—including the small town that gives the book it’s title. Ward, haunted by a childhood tragedy involving the deaths of two young girls, tries to exorcise those demons. He pursues a law career to seek justice for others. He marries Cooper Faircloth, the only daughter of a newspaper and oil tycoon. And yet his past encroaches on his present, opening up existential questions of predestination vs. free will, as well as unveiling a mystery that threatens to transform a Texas town already on the brink of the irreversible changes the 1960s will bring. Order the paperback version or Kindle version via Amazon.